These Coca-Cola push pops from Gimme Some Oven are a handy sweet. Homemade coca-cola mini cupcakes cake are layered with freshly whipped cream and topped with a sweet maraschino cherry. You will need the push pop containers which can be purchased from various vendors online. You can use this same idea with any flavored cake and frosting. 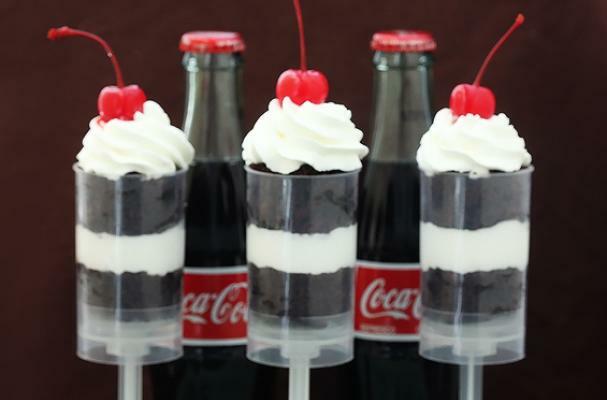 Coca-cola push pops are a fun way to serve dessert at any party. For full recipe instruction, click here.